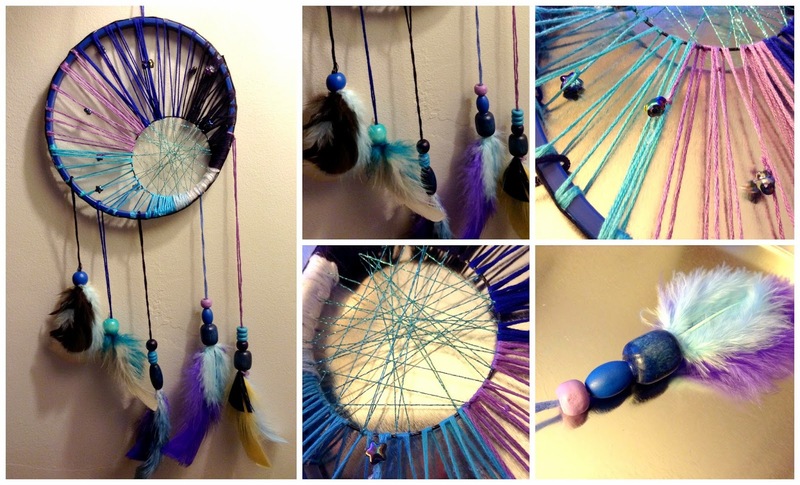 I have already created a few simple dreamcatchers before, you can check these out here. However, this time I created a more complex dreamcatcher. 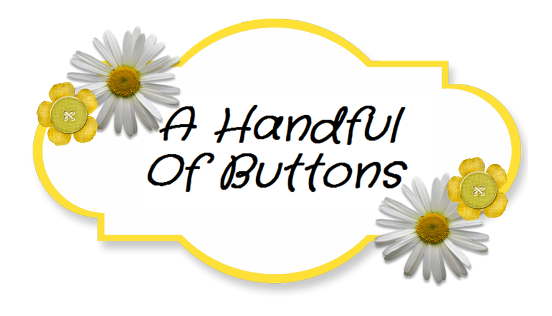 As I got too involved in the making process, I forgot to take photos along the way so I apologise but I will do my best to explain how I made it. Step 1. The first part is admittedly the hardest. You need to start the threading section that attaches the smaller hoop to the larger hoop. You should start where the two hoops touch as this is easiest. To do this, you need to tie the thread to the larger hoop and wrap the thread around the hoops . Try to do this tightly. Step 2. As you move around the hoop, you will find that the thread starts to move and slip around. To prevent this from happening, I used a glue gun to secure the thread to the edge of the larger hoop (which I later covered up with ribbon) or added regular knots. Note : To change thread. Tie a new piece of thread to the one you are using and continue. Step 3. Once you have completed the big hoop, the easy part, the little hoop! Use a long piece of (sparkly?) thread to make the pattern of the smaller dreamcatcher. I found this was easiest if I used a needle. This doesn't need to be done in a pattern, random looks great! Step 4. To attach the hangings, knot thread to the bottom of the dreamcatcher. Then, slide the beads on. You need to chose beads that you feathers will be able to fit inside. Using a glue gun, stick the feathers to the bottom of the thread, and slide the beads down on top to secure it. Added touches: For an extra touch, (and to cover up any mistakes), I stuck beads to the dreamcatcher web.